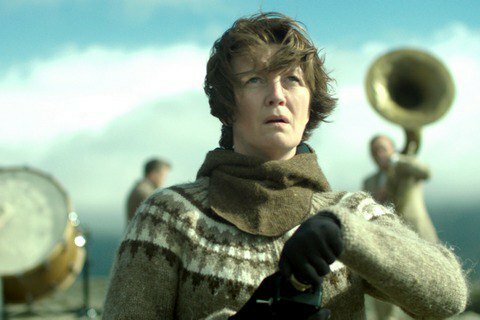 The premiere of the Ukrainian movie ‘Woman at war’ directed by Icelandic movie maker Benedikt Erlingsson will take place at 71st Cannes Film Festival as the press service of Ukraine’s State Film Agency reported. The film was made in the cooperation of France, Iceland and Ukraine with the support of the State Film Agency. The picture will be represented within the Critics Week that is one of the oldest sections of the Cannes Film Festival. The film raises the painful issue of the environmental degradation that is depicted through the fight of a woman who decided to undertake a mission of the nature defense and preservation of Iceland’s Highlands. Halla is a conductor of a choir and holds the secret life of an environment defender. When she plans her most ambitious operation she receives a letter that an orphan from Ukraine is waiting for her. Halla is going to leave her subversive activity and the role of the Highlands’ defender to make a dream true and become a mother. However, before this, she decides to launch the devastating attack at the local aluminum industry. This year Cannes Film Festival will take place since 8 until 19 May. The jury will be headed by Cate Blanchett. As we reported the Ukrainian film‘Black level’ directed by Valentyn Vasyanovych won the Grand Prix at Festival International de Films de Fribourg (FIFF) that took place in Switzerland on March 27.